NEW! CSI: Crime Scene Investigation's Gary Dourdan has snapped up the lead role in My Boy, a new film about the life of THIN LIZZY frontman PHIL LYNOTT. 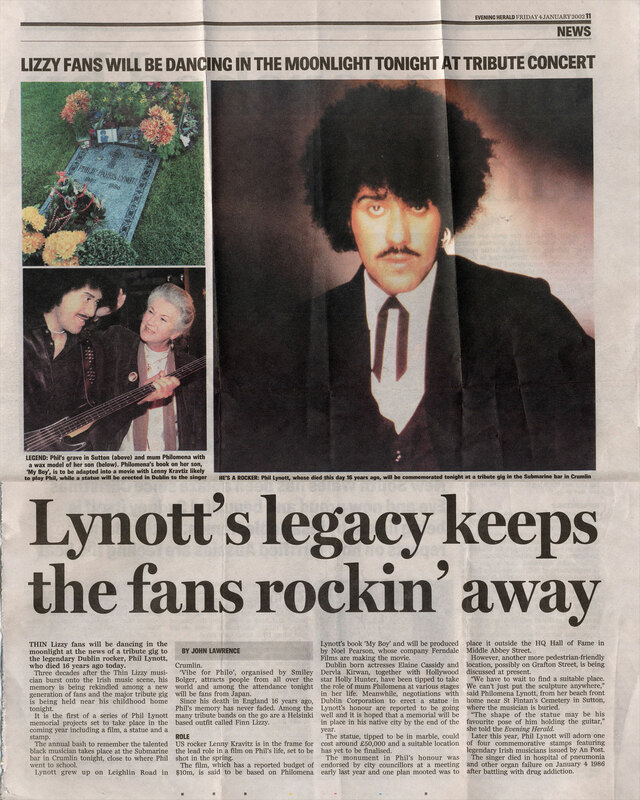 Contactmusic.com has revealed that Irish pop singer SAMANTHA MUMBA's brother Omera will play the young Lynott, while Dourdan will play the rocker in his Thin Lizzy days. 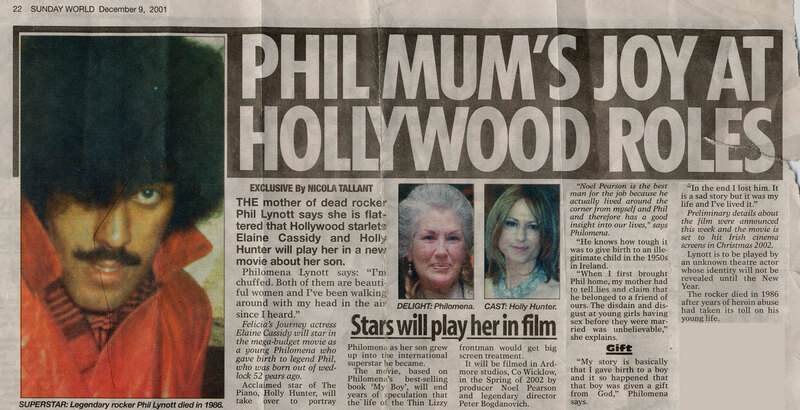 The movie will be shot later this year in and around Dublin, Ireland and is expected to be released in 2007. Lynott died in 1986 after a multi-organ failure brought on by years of drug abuse. He was 36. 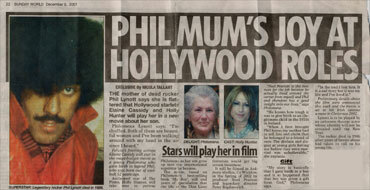 Philomena sent Bob these articles January 20, 2002. She is very excited about this and said Holly Hunter had asked that the production's filming be pushed to the fall due to a divorce. She is also excited about the postage stamp coming out soon (I'll post one when she sends it), the statue (which she says may be a Grafton Street), and how good the Vibe went (over 2000 people) this year!